The present study was designed to indicate the influence of the feeding plate on the nutritional and general health problems of the isolated cleft palate infants. 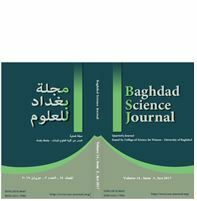 For this study fourteen infants were taken, their ages between one day to one week, refered from cosmetic surgery and palate center to cleft lip and palate rehabilitation center in institute of technical medical / Baghdad for feeding plate purpose . Four infants put them as normal group; all those infants were subjected during (6th) month to evaluate the body weight, feeding problem and the respiratory infection. According to tables and figures this study showed a gradual improvement in nutritional problem including (feeding problem, body weight) and health problem (such as respiratory problem) of the cleft palate infants after the use of feeding plate starting from (4th) to (6th) month compared to normal group.